In fact, to show how serious they are about changing things up and making this conference high energy and fun, CDI is launching this event with a Career Pro Theme Song Contest. The leadership team for Career Directors International (CDI), a global membership organization of professional resume writers and career coaches, has been busy as bees in creating an exciting new industry conference: Entrepreneurial Success Secrets for resume and career pros. The event, which is scheduled for this October in Orlando, Florida is meant to be something truly unique and super-power-packed for attendees. In fact, to show how serious they are about changing things up and making this event high energy and fun, CDI is launching this event with a Career Pro Theme Song Contest. The contest is open to any resume writer, career coach, or other career professional to submit a theme song for the industry. Timeline: The schedule runs across four power-packed days (Wed-Sat) from Oct 14-17th. Experience: This is more than showing up and listening. Attendees can expect to experience change beyond knowledge level and business success. CDI has provided a sneak peak in how it works in their online schedule. Fun and Meals: CDI has now added a banquet dinner, dance party, future self party, and energy breaks. Super-Powered Energy: The conference should result in participant laughter, uncontrollable smiling, warm and fuzzy feelings, empowerment, and even a little spontaneous dancing. Attendees may come feeling empowered but CDI wants them to be Super-powered, career hero style. Content: CDI has lined up the same caliber of top-notch presenters in their three key areas of business, career, and resume writing. But, the new conference also has mini-sessions that share a theme of personal/professional growth, scheduled team assignments and meetings to create a new marketing collateral piece by the end of the conference, breakout session for distinct group needs, and fun recharge activities. CDI has now opened the theme song contest, conference registration, and housing. The event is scaled to ensure an intimate and engaging experience for attendees, so it will sell out. Visit the website to learn more about super early bird deadlines, payment plans, schedule and speaker highlights, theme song contest, attendee testimonials, accommodations, sponsorship, exhibition, and prior conference highlights. CDI is a global organization that positions career and resume professionals for dynamic success as both practitioners and business owners. 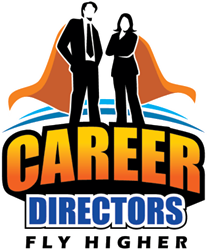 CDI is focused on championing the industry’s cause for credibility and visibility; fostering exceptional success in every generation of career and resume professionals; and cultivating the career superhero that exists within each one of us.